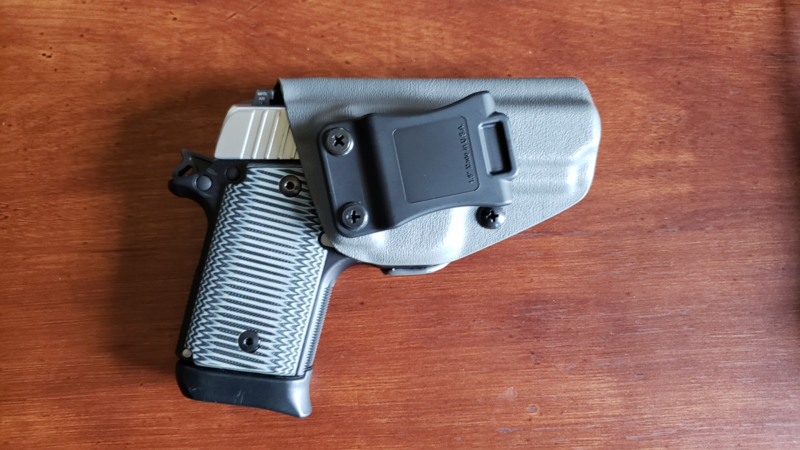 New grey holster to match my grips on the P938. 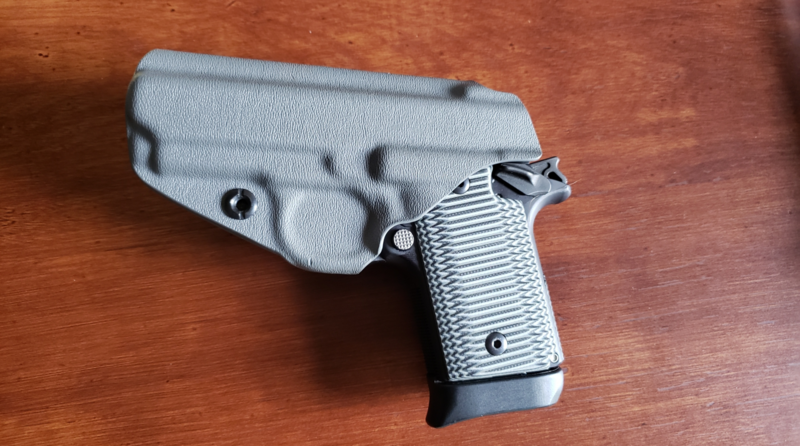 JM Custom Kydex knocked this one completely out of the park. Had to share. I'm the second owner, cherryriver and TD had it before. I swapped out the wood grips, deleted the ambi safety and changed the recoil, hammer and sear springs. Runs great. Night sights still good enough to see on the nightstand so I'm good with them for now. If they go flat I'll get a set of Trijicon HDs. Edited by TRJ, 09 August 2018 - 07:41 PM. I'm not affiliated with them, but I have four of their holsters now and consider them to be among the finest I've found.